Easy Discount Pro was created to save shoppers money and time! Not only will you instantly be able to find cheaper prices online, but you save yourself the time and frustration of shopping through different websites and stores! Designed as a simple browser add-on, Easy Discount Pro is small and stays out of view until you start shopping. You won’t have to register for any accounts or buy anything – Easy Discount Pro is completely FREE and can be installed with just a few clicks! You’ll be able to view cheaper prices on items that you’re shopping for and can even find cheaper alternatives for similar items! 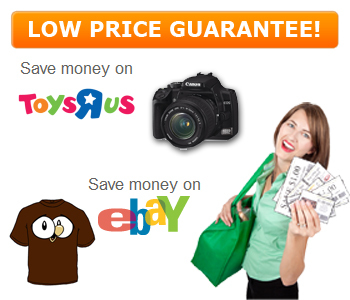 Easy Discount Pro also has access to coupons, discount codes, exclusive sales, rebates and bonus items! Whether you’re shopping for clothing, toys, household items, electronics or sporting gear, Easy Discount Pro is able to do the hard work for you! Don’t spend hours browsing online anymore! Visit Easy Discount Pro website now to learn more and get your FREE download!